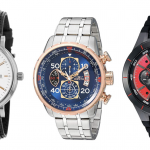 Leave it to reliable watches to keep you on track! One of the best things about camping is unplugging from the rest of the world. You can leave your computer at home, lock your phone in your car and enjoy nature at its best. The ruggedness of the outdoors goes well beyond technology, though. When you go camping, you often hike, get caught in the rain, and take part in many other rough activities. If you’re a serious camper, you will need a watch that can do two things. The first is to handle the elements because you don’t want your watch to break down at the worst time. The second is having highly useful informational capabilities to guide you through your trip. Below, you’ll find six watches that meet both of those requirements. This watch is perhaps the most popular survivalist timepiece on the market. There are two reasons why it is so popular. The first is its features, which include an altimeter, barometer, thermometer, compass, timer, alarm, and tide indicator. With all of these packed into one watch, you’ll have all the information you need. The second reason is its versatility. Not only is this watch made incredibly well, but it also combines battery and solar power to make sure you have functionality no matter what. When most people hear “Garmin,” they think of in-car GPS units. 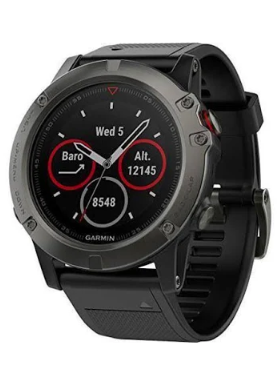 What they are surprised to find out is that Garmin makes one of the best camping watches in the world. The Fenix has all of the features that you would expect from an outdoors watch, but what makes it different is its other uses. Unlike most, it is a smartwatch too. This will give you added utility when out on your trip. Another thing people love about the Garmin is how elegant it is. 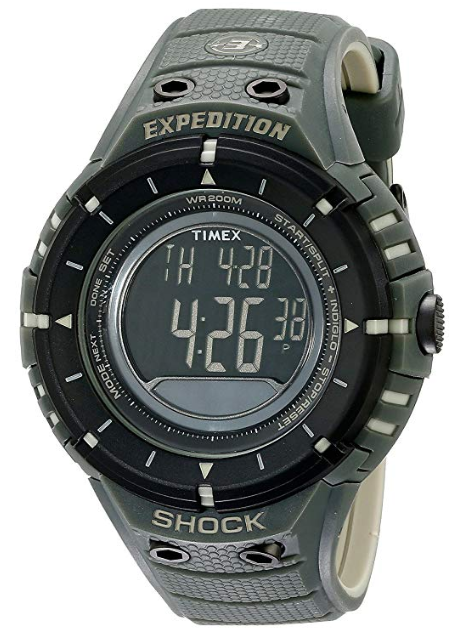 Many camping watches are bulky and less acceptable in day to day life, but this watch can fit in anywhere. 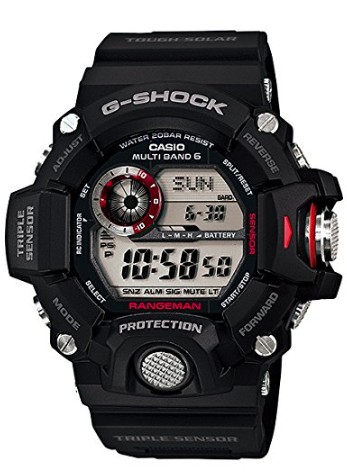 If the formerly mentioned Casio G-shock Rangeman is a bit out of your price range, this more affordable watch could be the one for you. Just like the Rangeman, this watch is very well built, water resistant, and powered by both battery and solar. What it lacks is the altimeter, barometer, thermometer, and compass. If you are a more casual camper, or if you just don’t think those special features would be useful to you, choosing a cheaper model is a smart decision. 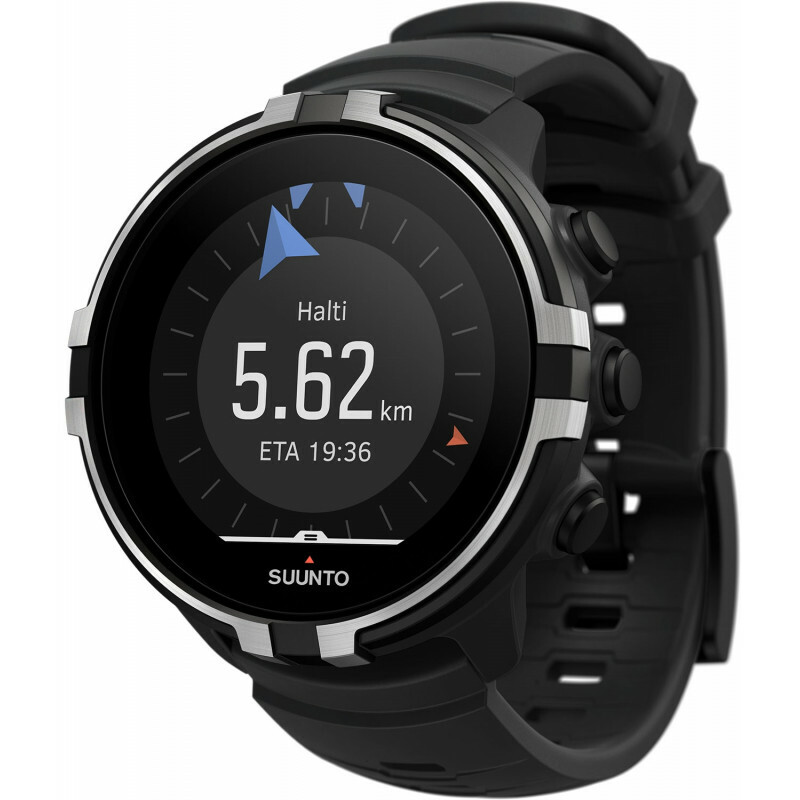 This smartwatch is similar to the Garmin but offers its own unique look and interface. It has a touchscreen for easy use but also features buttons on the side in case you are wearing gloves. This piece is especially useful for campers that plan to do a lot of hiking. Not only can it track your heartbeat throughout your trip, but it also has a fantastic GPS system that can guide you through the trails. One thing to be wary of with smartwatches like this one is that their battery life is much shorter than a typical watch. If you’re going to be camping for weeks without a power source, opt for a different piece. If you’re looking for a budget option, this Timex piece is right for you. 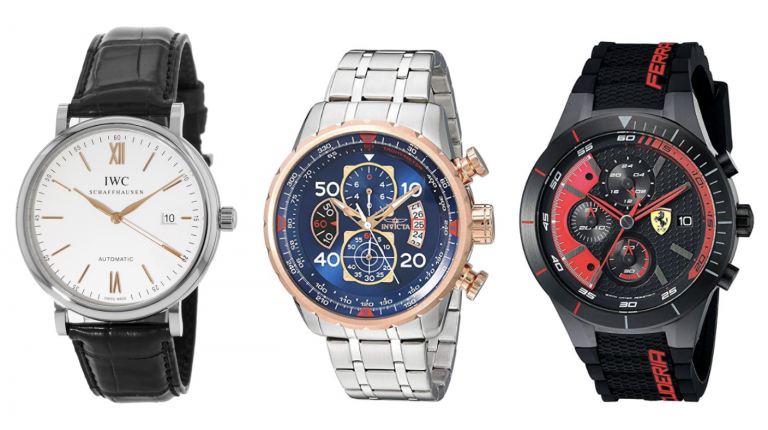 It is less expensive than the other watches on this list, but it is every bit as versatile. What it lacks is the advanced measurements, like a barometer, which come in survivalist watches and the GPS of a smartwatch. If these features do not interest you, then it is a logical move to buy a cheaper watch. 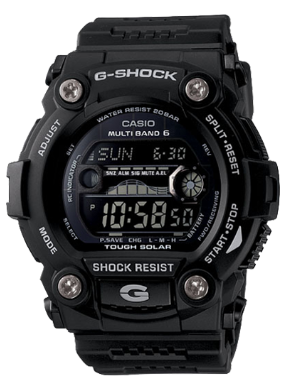 It still does its job of telling the time and is built to outlast even the most rugged conditions. 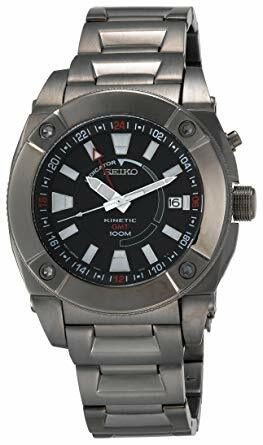 What makes this Seiko such a useful camping watch is that it is kinetically powered. While most outdoors watches are powered by pre-charged batteries or solar, this watch does not. Instead, it functions through motion. If you wear it all day, charging its batteries with a ton of kinetic energy, it will keep working throughout your entire trip. In fact, this watch should keep powering itself up and functioning for about 10 years before you need to replace the batteries. 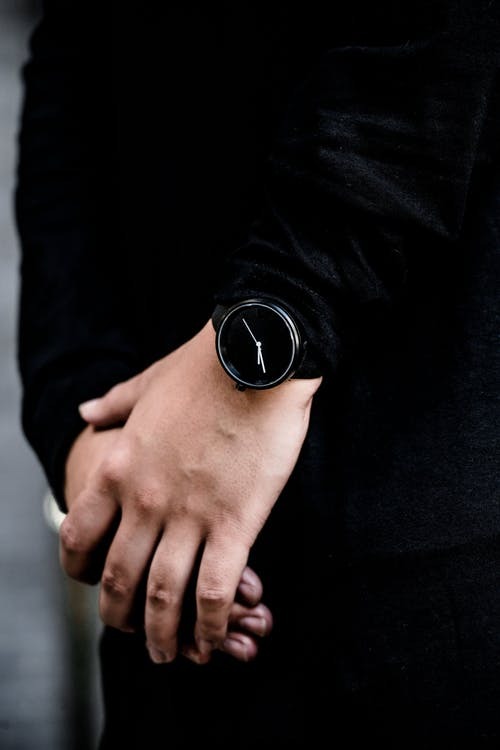 Beyond its power mechanism, this watch has a multitude of useful features and has the aesthetics to be worn outside your nature excursions in day to day life. When you visit the great outdoors for your next camping trip, you’ll want to be prepared for the elements. 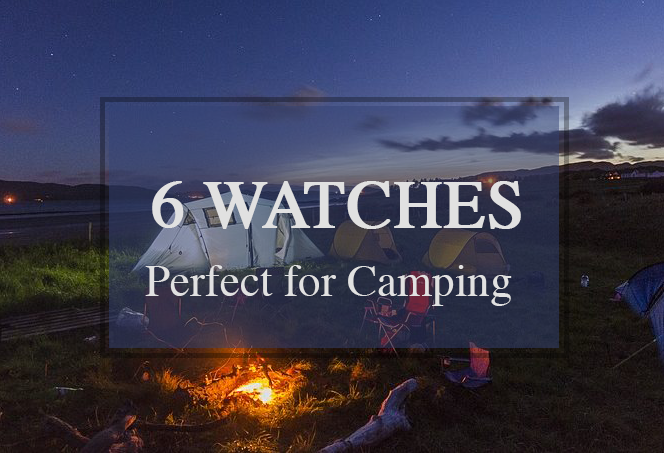 There are a lot of preparations that go into this, but one of the most important ones is purchasing an excellent camping watch. 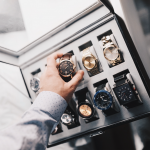 If you choose one of our favorite 6, you will be getting a watch that is highly functional and will last for years to come.